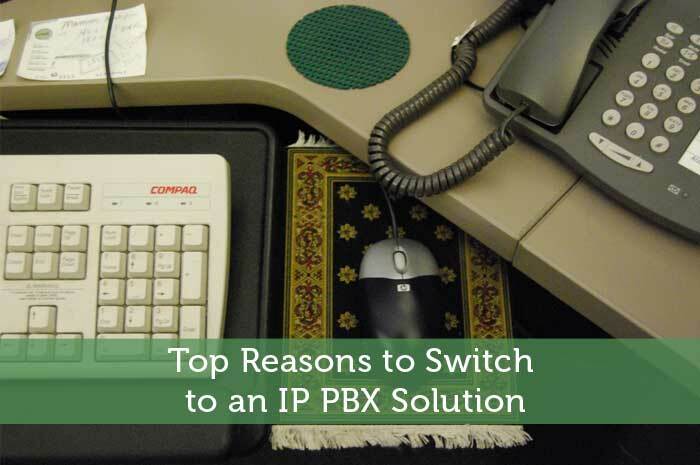 The following is a guest post about IP PBX solutions. If interested in submitting a guest post, please read my guest post policy and then contact me. An IP PBX solution provides phone calls over internet data networks and every conversation is sent as data packets over the network. This technology includes superior communication features and offers a considerable dose of stress-free scalability and flexibility that every business seeks. The systems can also be connected to conventional PSTN phone lines using an optional gateway. This will make it easier to upgrade daily business communication to the most advance data and voice network. Business owners do not need to disrupt their existing external communication operations and infrastructure. With the implementation of an IP PBX solution, a business can still maintain its regular phone numbers. An IP PBX system is easy to install by anyone who is proficient in using computers. The conventional propriety telephone system will require you to employ the services of a well-trained installer. This system can be easily managed via an online-based configuration interface. This will allow you to maintain and adjust your telephone system. The conventional telephone systems are known to have interfaces that are not user-friendly, and are designed to be used by only telephone technician. You can easily utilize VoIP service with it for long distance and international phone calls. You will be pleased to know that you can look forward to significant monthly savings on phone calls. If you have satellite offices, you can connect the phone systems between satellite offices and make phone calls for FREE! Software telephone can be easily installed directly on your computer. You do not have to worry about pesky telephone wiring, which makes it easier to add or move extensions. It is so easy for businesses to outgrow conventional phone systems. Adding more telephone extensions or lines often require pricey hardware installation. In some cases, you may require a totally new telephone system. This is not so with IP PBX solutions. Standard computers can effectively handle a large amount of telephone lines and extensions – simply add more telephones to your network when expanding. Businesses can deliver top-notch customer service and productivity with such a system. Because the IP phone system is computer based, users can integrate telephone functions with business applications. A good example is when you are able to bring up a client’s record automatically when you get a call from him or her. You can considerably improve customer service and cut cost by reducing the time you spend on each caller. The aforementioned options are often pricier with conventional phone systems. Staffs often struggle with using advanced conventional telephone features such as transferring a call, setting up a conference. It is user-friendly; every feature is easily performed from easy to use Windows GUI. The IP PBX Windows will also help you get a good overview of the status of inbound telephone calls and call queues. Conventional phone systems will require you to invest in a pricey system telephones to get a good idea of activities on your phone system. It makes absolute sense to invest in this system. lol….I guess it partly depends on the quality of the internet connection and the hardware used.